I’m not an expert in baking or anything but I have been baking for about 5 years now so I can give you guys some tips. I got into baking mainly through baking for charity (I made my mum bake so I could decorate) but eventually I gave it a try and found that I enjoyed it. Also, one of my favourite fictional characters is a baker (PEETA MELLARK). And Taylor Swift and Karlie Kloss also like to bake. My dream would be to bake with Taylor Swift (#Goals). 1- MEASURE- measure everything. baking is a science. well kind of. if you have the right equipment then you should be fine. Measuring Cups and Scales (get a digital one) are a must. 2- OVEN- preheat the oven before baking so it is ready for your baked goods – and always double-check the recipe to see what temperature it should be. also check the conversions (Fahrenheit to Celsius) as i tend to use a lot of American recipes. 3- CHECK THE RECIPE- keep the recipe near you and double-check at all times. it’s good to have all the ingredients in front of you, then the measuring cups you need. keep going back to the recipe as you bake and tick off the ingredients you’ve used. Also if you are using an American recipe and you DON’T live in the US, make sure you know the equivalents for ingredients. (it’s really important you get the recipe right and the correct ingredients especially for flour and sugar). 4- BUTTER- if your recipe requires butter, leave it out the night before you bake so it’s soft and easier to mix. Depending on how hot it is, you can take it out on the day and leave it for an hour or so. a good trick is to put a warm glass over the butter to soften it. Most recipes require unsalted butter but make sure you check the recipe if they ask for salted butter (then you don’t add salt). usually ingredients should be at room temperature unless otherwise stated. 5-EQUIPMENT- invest in certain baking equipment: for perfect cupcakes you need a mechanical ice cream scoop (it’s also good for cookies), a good hand mixer, measuring cups, scales, cake tester, baking pans/trays, a palette knife, piping bags with tips, parchment paper or a silicone mat, a wire rack to cool your baked goods and lots of spatulas and mixing spoons and last but not least lots of BOWLS!!! 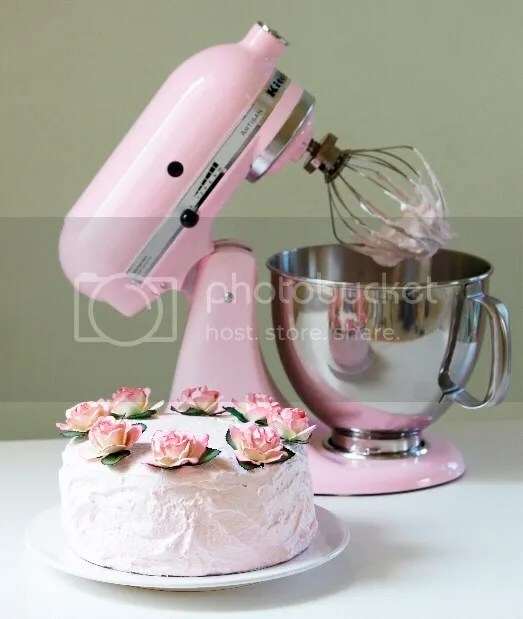 You don’t need a stand mixer if you’re just starting out but the best one is the KitchenAid Artisan Stand Mixer (in pink) which is my dream (#KitchenGoals). I currently have my trust Kenwood which is serving me well so I can’t complain. 6- SIFT– always sift the flour, cocoa powder and icing sugar! 7- VANILLA- the best is Madagascan Vanilla Extract. DO NOT USE THE NORMAL SUPERMARKET ONE. vanilla extract is expensive BUT IT SMELLS SO GOOD and enhances the taste of anything you bake. you can also use Vanilla Bean Pods (and you can make Vanilla Sugar too). 8- EGGS- i always crack the egg into a separate bowl BEFORE adding it to the mixture in case of any egg shells. Also make sure to get good quality free range eggs. 9- ICING- chocolate drizzle is always great (just melt some chocolate), a quick dusting of icing sugar does the trick too if you’re short for time. Ganache and vanilla glaze are easy and can be made quickly too providing you have the ingredients. Buttercream is perfect for cakes and cupcakes (and can be flavoured) and also cream cheese frosting is also great. I’m not an expert in fondant but most people use it to cover cakes or make shapes for decoration (you can make your own or buy it from a supermarket/baking shop). 10- TIMING IS KEY- always use a timer. invest in a cooking timer…or you can use your phone alarm or timer but make sure you can hear it! you don’t want to over bake anything as it can get dry or hard. 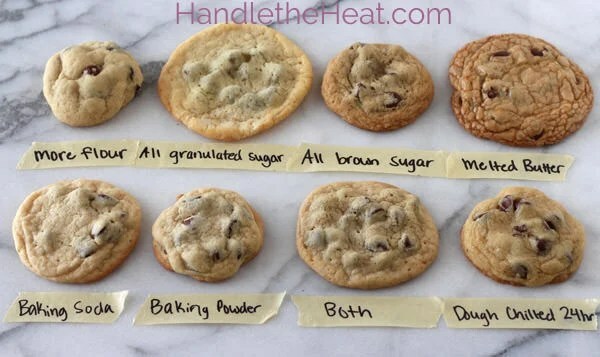 under baking cookies is okay because they harden once cooled and to get soft chewy cookies under baking is good depending on the recipe. 11-INGREDIENTS- when baking, try to use quality products. it’s tempting to go for the cheapest chocolate but it could ruin the bake. Go for products you trust but also trial and error so see what suits you best as long as it is affordable. but quality is key because you want it to taste great too! I tend to use Dairy Milk Chocolate for most of my baking but sometimes if Lindt or Green & Blacks is on offer then I’ll use those. Also you can get chocolate chunks instead of chocolate chips or if you prefer to just chop/grate chocolate that’s fine. 12- FLAVOURS- it’s amazing how many flavours you can make things in…vanilla, lemon, almond, coffee, coconut etc…but it doesn’t end there. my fave ingredients are: cinnamon, peanut butter, chocolate, Oreos and coconut so I usually try to find recipes which include them. Obviously, when you’re starting out try simple recipes but flavours that YOU like…and once you’re confident you can experiment more. 14- BANANAS- if you need to ripen the bananas just put them in the oven on a low temp about 160 degrees Celsius for about half an hour and they should be black. it looks really weird but they’ll be soft and sweet and ready for baking! 15- HAVE FUN- last but not least, have fun. baking is meant to be fun so MAKE it fun! don’t go messing about with the flour because cleaning up can be annoying but definitely eat the batter when you’re done. also once you’ve baked something more than 5 times you can call yourself an expert AND change up the recipe. like anything, the more you practice, the more confident you’ll get. Hey, I am no expert in baking. I am still an amateur. I aint ready for no bake off and I’m not keen on people watching me bake (depends who it is…) HOWEVER I don’t mind teaching people how to bake…it’s quite fun being the one to know things yet I am always learning new ways to bake and improve my skills. I like perfecting old recipes but I love trying to bake new things. I need to make more pies and breads because I usually stick to cookies and brownies. I still have a lot to learn when it comes to decorating especially with piping! Also, YouTube is a great place to start as there are plenty of baking tutorials to help you out! but as long as the recipe has pictures, you should be fine. Joy of Baking and Baking Mad do great tutorials. Poundland have a great Jane Asher range including a MECHANICAL ICE CREAM SCOOP and parchment paper. Wilkinsons also have a nice baking range for basic things such a strays and piping sets and TkMaxx also have nice baking stuff for a reasonable price. the best store is Lakeland but it’s not in every high street nor is it cheap but most big supermarkets will have a small/medium baking section to start you of. chilling cookie dough is a real struggle but it’s worth it! 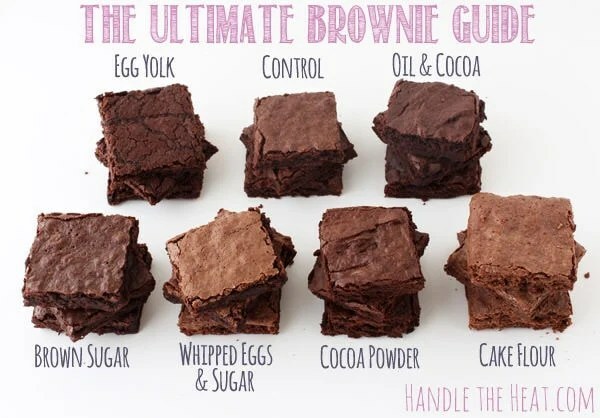 OIL BROWNIES CAN MAKE THE FUDGIEST BROWNIES! And as always, a lot of my recipes from The Hummingbird Bakery Recipe Books! hope this post inspires you reluctant bakers to get baking! 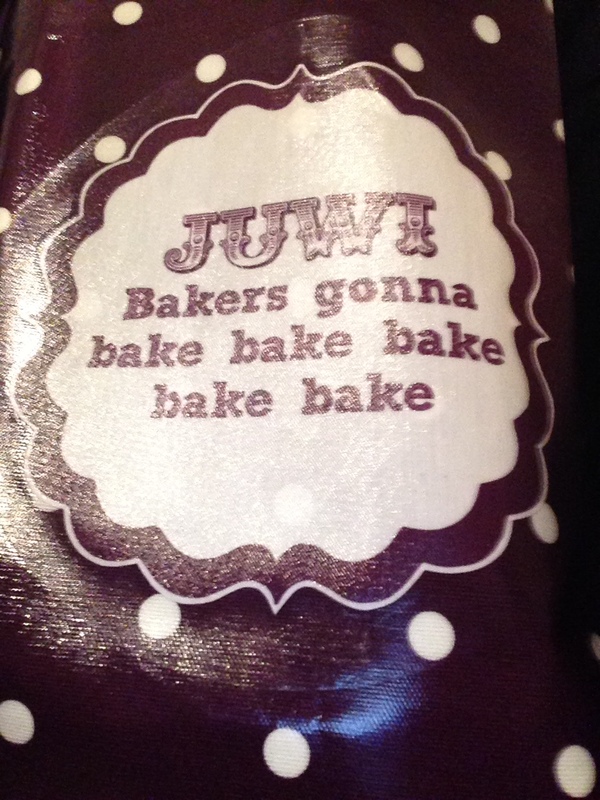 Happy Baking and May The Baking Be Always In Your Flavour!